If you’re not an IT guy, you may be confused on what an email server is. Think of an email server as a mail man. The server takes the emails you want and pushes them through to the intended recipient’s server; which in turn distributes the emails to the inbox. 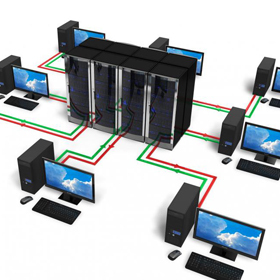 Servers both push out emails and receive them to ensure they get to the proper place. Here is a simple description of how the process works for an SMTP (Simple Mail Transfer Protocol) server. An SMTP server is what distributes the emails you are sending out and what controls emails coming in. All of your outgoing emails go to the SMTP server. From there, they are directed to each recipient. The SMTP server connects with the DNS (domain name server) to locate the proper IP's for the recipient's SMTP server. The two SMTP servers then "talk" through a port and distribute the email to the targeted recipient. Still want to know more? Contact one of email marketing experts toll free at 888-497-7898.